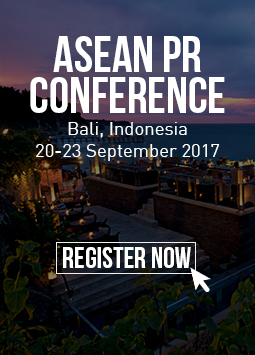 In the round-the-clock battle for media attention, reporters, marketers, and PR pros cannot afford to waste words. We’ve all come across executive quotes in press releases or news articles that sound like they were written by a novice PR person, or, worse, a committee. A poor spokesperson quote is a lost opportunity at best. How do you make something as ordinary as quotes from executives a real asset? The executive quote is a chance to add information — substance, details, color — to the story, not to repeat information found elsewhere in a press release or article. If a release announces a $30M Series B funding, the executive quote should not be about how “pleased we are with the investment,” even if that is true. Instead, it should describe plans to use the cash infusion, brag about milestones already hit, or articulate specific reasons for why the company merited it. One thing that will make a quote stand out is visual imagery. If you plant an image in the reader’s mind, they are much more likely to remember it, and a journalist is more likely to use it. In an article where many industry figures are quoted, a visual one is also more likely to be used as the “pull-quote” — a key excerpt pulled from the piece as a highlight. A congressional hearing is a “political strip search.” VC pressure for startups to scale prematurely is like “driving a car that’s leaking gasoline.” A loss of transparency is a “black box.” Using such evocative language also adds dimension and color to an executive’s persona. Strong language works for those corporate leaders who are keen to embrace a higher public profile or be seen as a thought leader — and who can weather the attention that may follow if the comment is controversial. Quotes that convey bold predictions, unexpected opinions, or blunt honesty will often attract attention. When objecting to Indiana’s law to allow businesses to refuse service to gay or transgender people, Salesforce CEO Marc Benioff objected with public comments. But he didn’t just say, “We don’t agree with this legislation” or “It doesn’t reflect our values.” He called it “brutal,” “unfair” and “unjust” while pledging to reduce the Sales force presence in the state. The strong words put Benioff at the top of the list of business leaders who opposed the move in the media coverage that resulted. Even if an executive isn’t trying to be a Benioff or Bezos, his comments don’t have to be boring or robotic. Press release quotes are often written in stilted, jargon-stuffed, or boilerplate language, the better to earn internal and legal department approval. Yet they’re far more effective and usable if they read as comments that a human being might actually utter. The ideal way to craft a natural-sounding quote is to discuss it with the executive on the phone and listen to or record his response. Unfortunately, PR staff don’t always have the opportunity to do that, so we rely on our skills and familiarity with the situation and the spokesperson in question. In press releases, it’s not necessary to quote business leaders more than twice at most, and one well-written quote is better. 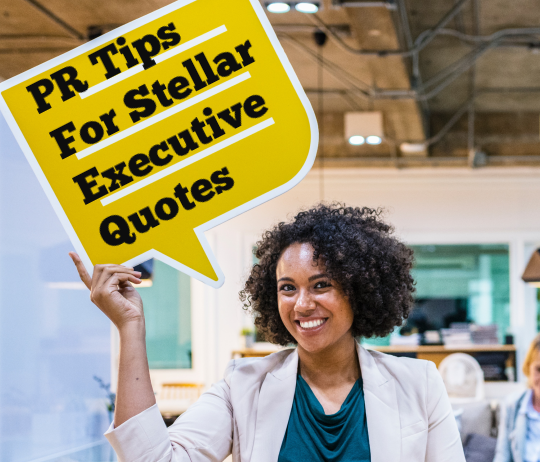 Sometimes we must include quotes from multiple people, as in the case of partnership releases involving two or more businesses, but too many executive quotes can be tedious and unwieldy. If remarks by executives multiple organizations must be included, consider a quote sheet and a press release addendum. The perfect executive quote adds value to the story in a visual, conversational manner while simultaneously reinforcing the organization’s voice. We are storytellers. Let the quotes help tell the story. Quotes in press releases and as commentary are valuable opportunities to communicate with stakeholders in a fairly direct manner. Don’t waste them!